Europe has been very kind to Xtra Mile and Frank Turner in the past, and so we're trying to return it as much as we can. Frank has managed to visit more mainland European countries than ever on this current tour, taking in Spain, Holland, Germany, Norway, Finland, Sweden, Denmark, Poland, Austria, Hungary, Slovenia, Czech Republic, Switzerland, and Belgium. That's a good run and it's because we love you. We hope you enjoyed Frank's efforts to entertain too. He's quite good, I'm sure you'll agree. In return for your wonderful hospitality, we want to feature your photos, stories, quotes, and experiences from this long tour on XMR Hub. We've gathered some below, but we still want more! Please send photos and stories about your night with friends, family and Frank to: contributions[@]xtramilerecordings[dot]com. 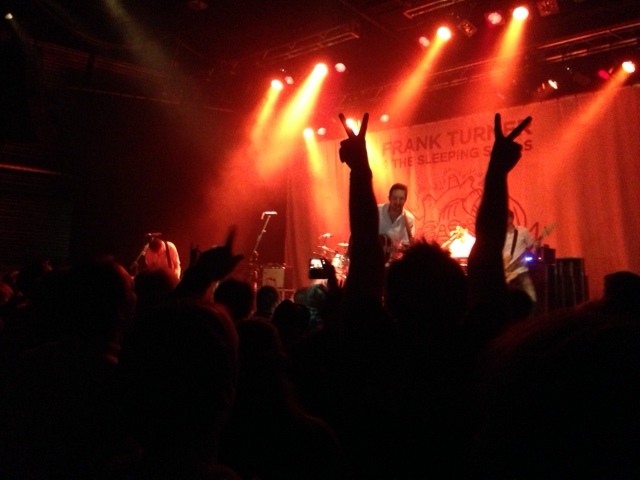 Tell us or show us what it's like to be part of a Frank Turner audience. What kind of people go? We want to see and hear about you! For us, Frank gigs have always been about being part of a like-minded and fun-loving community. We sing, we chant, we clap, we chat and dance together, we hug, we laugh, we kiss, we make new friends, we fall in love, we keep singing, we keep dancing, we keep cheering and somehow we turn one night out into something none of us will ever forget. Gallery photos (from left to right) by: Derek Hill, Zurich (1-3); Ivana Kapetanovic, Ljubljana (4-7); Pernille Ottosen, Copenhagen (8). "Frank's singing a Dutch version of Eulogy ('Grafrede' in Dutch) whilst Cahir is holding up the lyrics. I've seen him sing the Dutch version 3 times now, and he is certainly getting better at the pronunciation! Still, some words are pronounced very creatively :)" - Hanneke Bennett, attended Amsterdam. "Seeing fellow Danes and Scandinavians sing all the words and fist bump the air was special in a whole different way. In short: it was amazing, and it made me want to cry." On 27 February, my friend and I went to Copenhagen (a 4-hour train ride from home), this being the third time I’ve travelled to see Frank and the Souls. The first being to Wembley Arena, the second to Copenhagen last year and then this year. 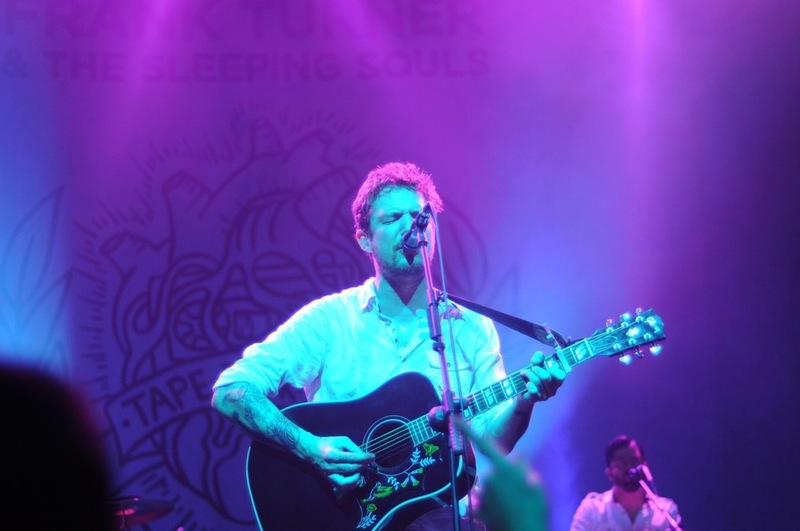 I could go on about how much Frank Turner and his music means to me, but I’m going to keep it (relatively) short and just say he and it makes me happy. Wembley Arena was pretty special and a quite beautiful experience, but seeing Frank and the Souls headlining in my home country and seeing fellow Danes/Scandinavians sing all the words and fist bump the air was special in a whole different way. In short: it was amazing, and it made me want to cry. There was an interview with Frank I accidentally stumbled upon just a couple of days previous to his gig in Ljubljana. I listened to some of his songs and fell in love with them. They really touched me. Anyway I decided on the spot I should go, and my decision turned out to be golden. I loved every second of the gig. Most of all, I loved the whole performance. All the guys looked all in. They always seem to be enjoying themselves so much on the stage, which is absolutely great. Also, the interaction with the crowd was amazing - Frank’s truly a master of this. As Kino Siska is a small venue, it has (as all small venues do) a potential for a great atmosphere. And of course on that night it was. In places like this I feel very connected with everyone, but at the same time I feel as if I am the only one in the room, and the band performs only for me (and I am saying this without trying to be self-centred or whatever). The only thing I regret is that I didn’t know many of the words. But I am working on this now. It has been a week since the show, and it seems as if I can’t do anything else than listen to Frank. 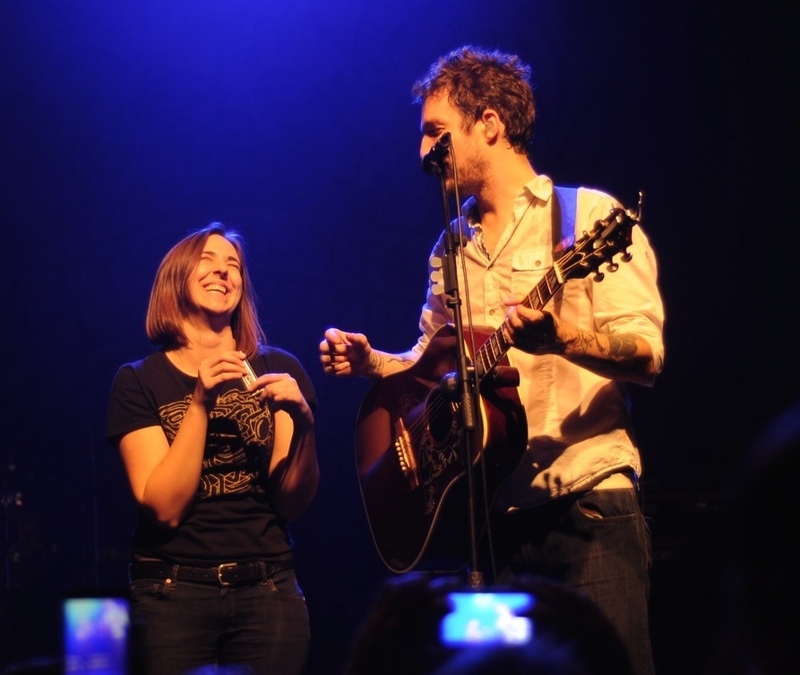 So the next time I come to your show, I’ll be singing those words back at you, like they’re the only words that I know. Keep the memories alive and continue sending us your European Tour 2014 stories and photos so we can post them up for everyone else to see. Share your experience and Frank and the Sleeping Souls will be back before you've finished talking about February and March! 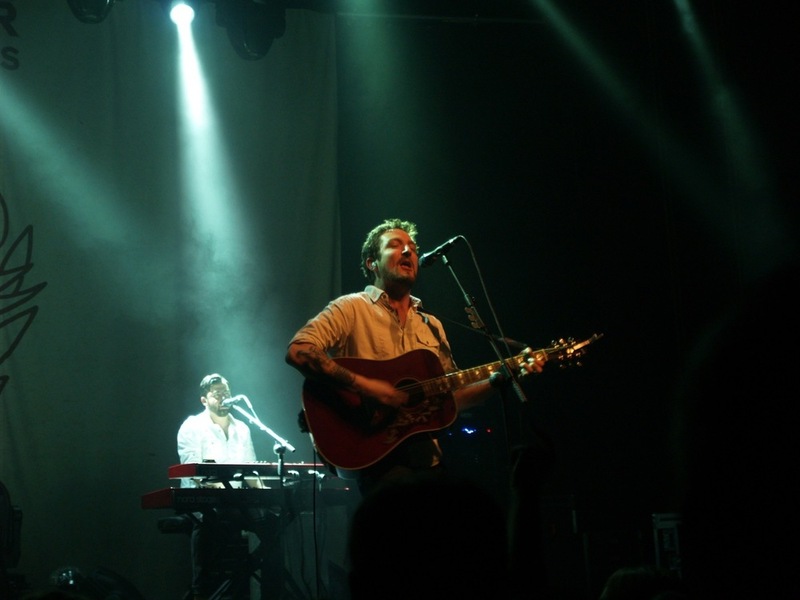 Send Frank Turner European Tour photos and stories to: contributions[@]xtramilerecordings[dot]com.